A single brand of nappies and wipes are included in the prices quoted for children aged 0-2. If a specific brand is required, these will need to be provided by the Parent/Carer. 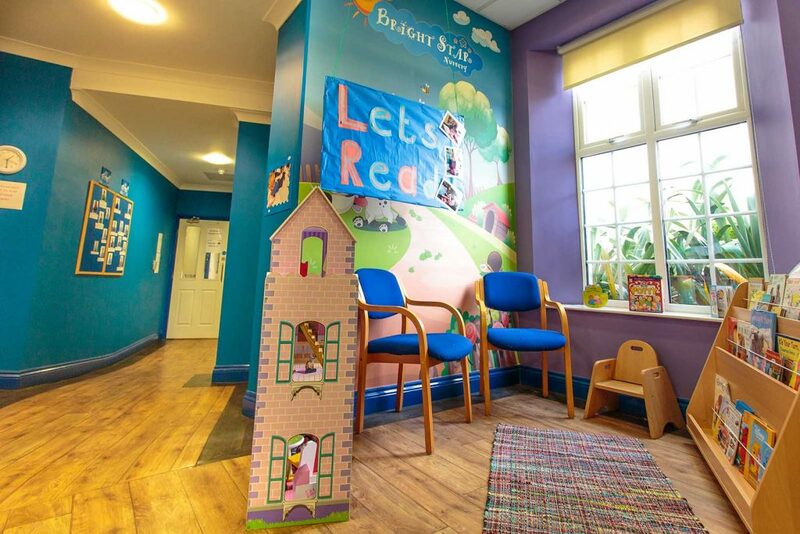 An admin fee of £50.00 is charged upon booking a place at nursery, which accounts for all your child’s visits and paperwork. This charge is non refundable. Full fees are payable for all days that the child is absent from nursery for whatever reason. Fees will be collected monthly in advance between the 7th and the 9th of each month by direct debit. For the first month of attendance we require a payment by cheque on the child’ s first day at nursery. Any extra sessions required are payable in advance by cheque. The nursery is closed for one week between Christmas and New Year also all other bank holidays. Fees are calculated by multiplying the weekly rate by 52(weeks) and dividing it by 12(months). Bright Star Nursery accept all employer voucher schemes, however full payment is required by direct debit until the first voucher payment has been credited to our account. A sibling discount of 5% will be given to families with more than one child attending Bright Star Nursery. Bright Star Nursery will allow 2 weeks holiday per year without charge.